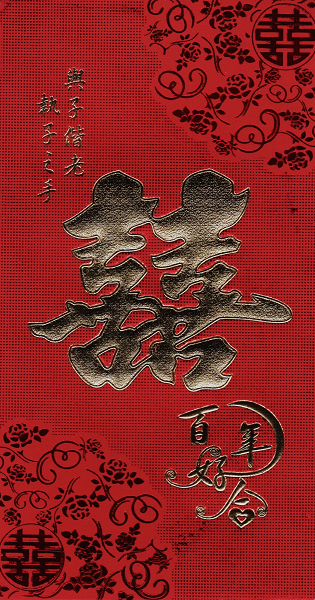 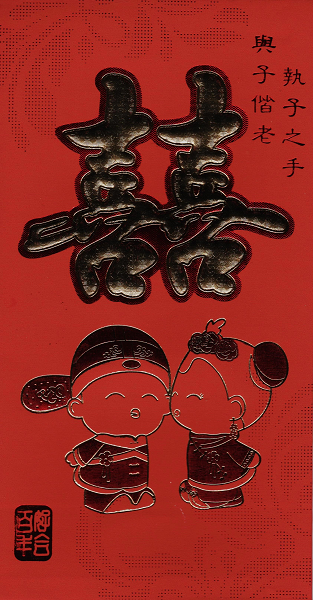 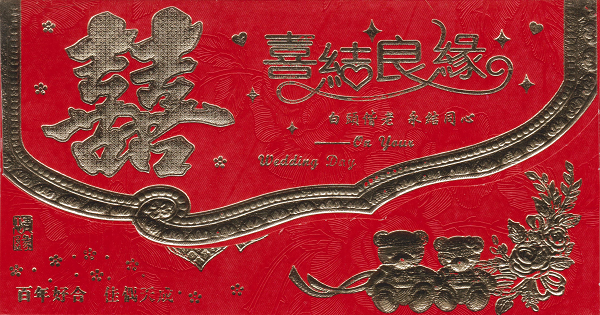 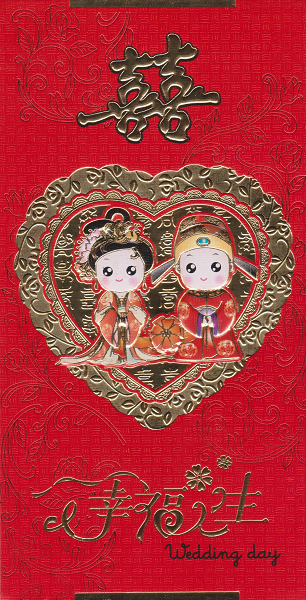 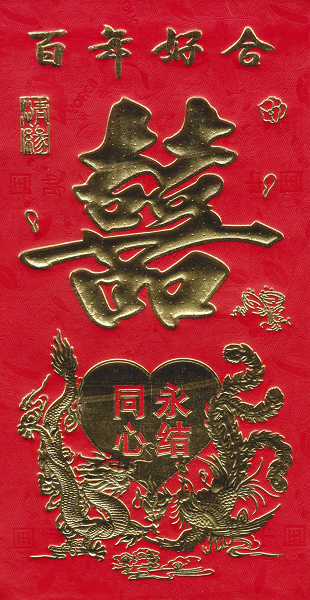 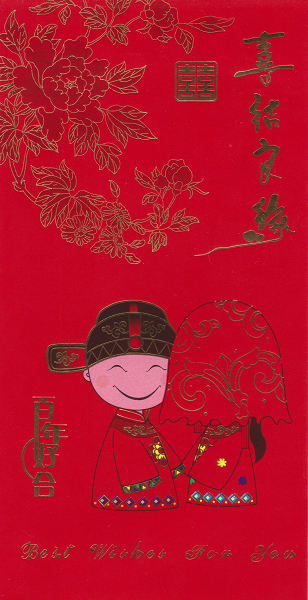 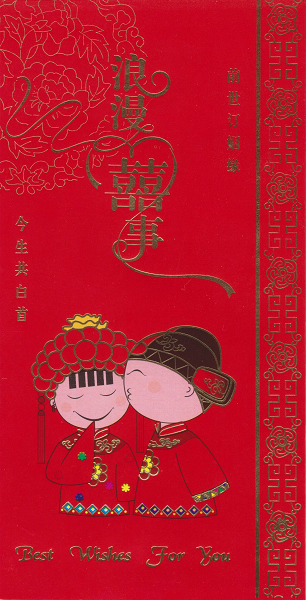 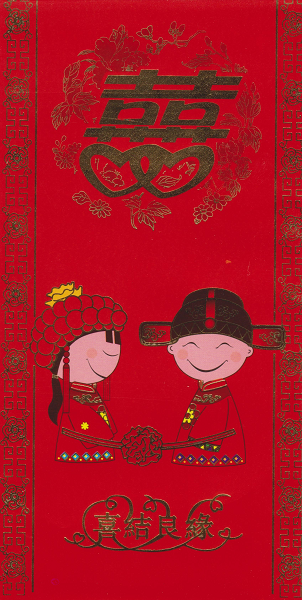 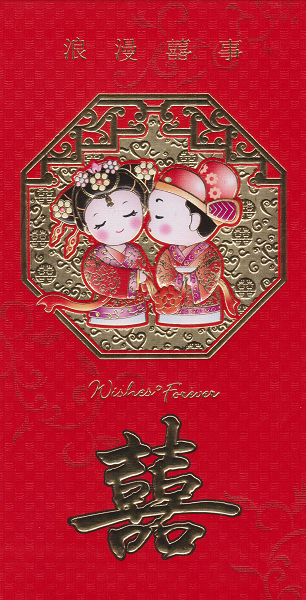 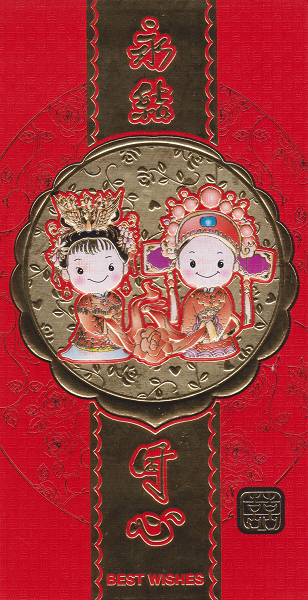 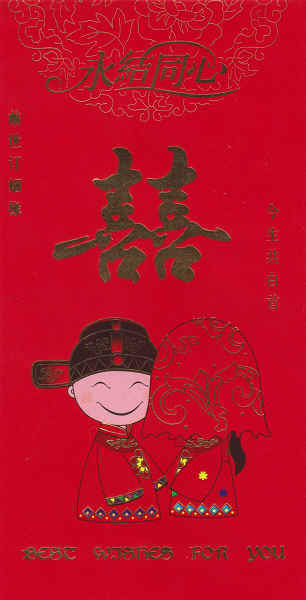 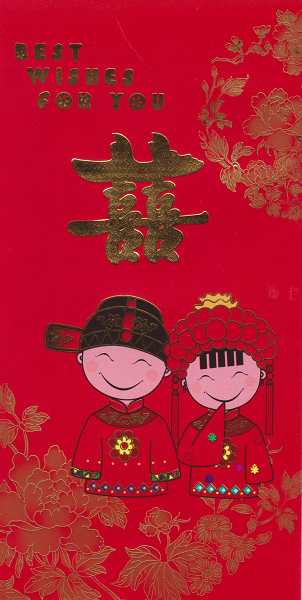 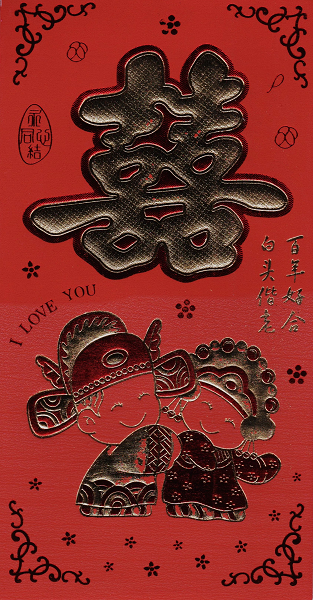 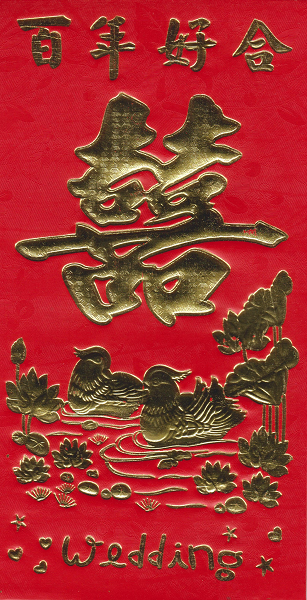 Chinese red wedding envelope with a large embossed double happiness symbol. 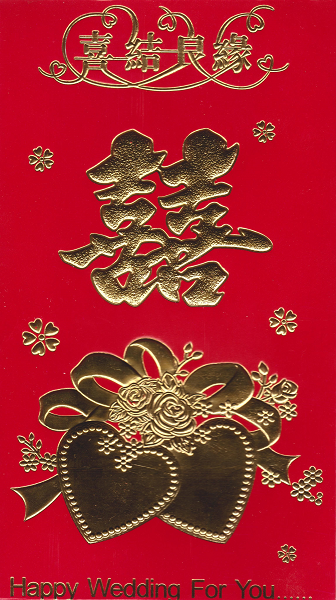 The large double happiness character is surrounded by smaller wealth, prosperity, and good fortune symbols. 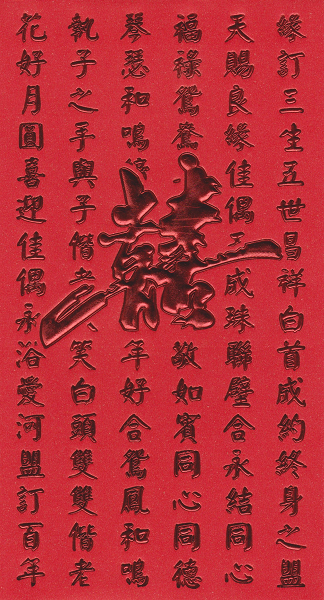 Made using good quality red paper with embossed dark red calligraphy symbols.